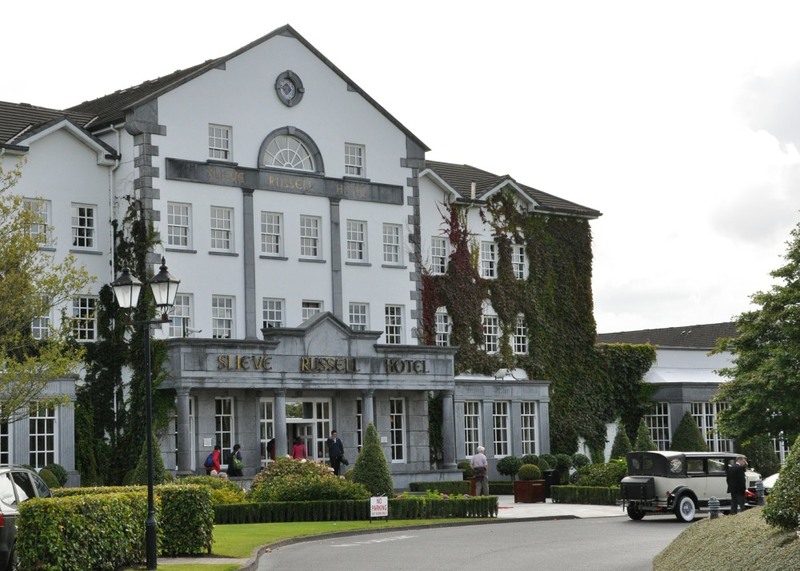 The meeting in 2014 was based in Ballyconnel, Co. Cavan, Ireland close to the border with Northern Ireland. The event took place from Friday 29th August to Monday 1st September. Many thanks to Bernard and Delourdes who organised an excellent event. This year our numbers totalled 19 people and 7 Sabras/Sabres. 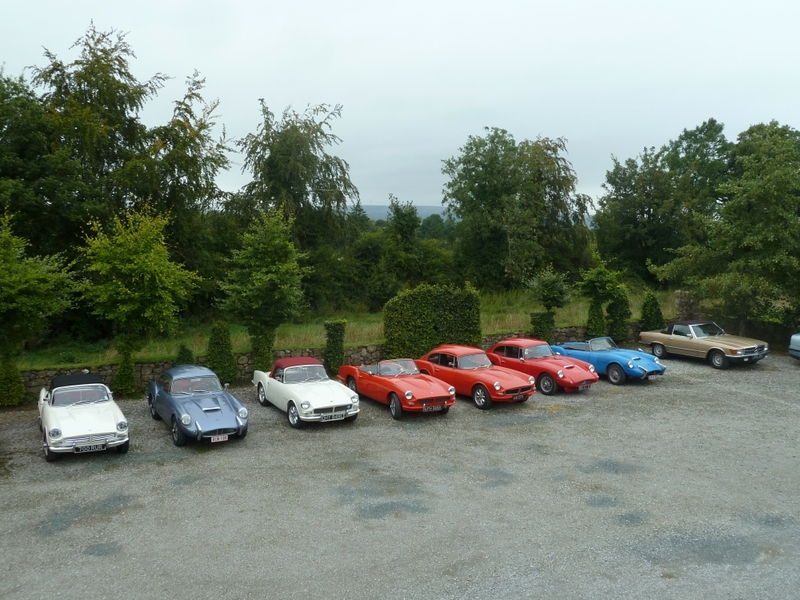 André and Carine lorded it during the weekend in Bernard’s 350SL having left their Sabra at home and flying to Dublin. Distance prizes should have been awarded to Jef and Els and Jacques and Magda who brought their Sabras all the way from Belgium. Although they live quite close to each other they chose completely different routes. Jef and Els took the overnight ferry from Zeebrugge to Hull, drove from Hull to Liverpool and then took another overnight ferry from Liverpool to Dublin. By contrast Jacques and Magda chose to drive 400 miles from home to Cherbourg and take the 18 hour ferry crossing to Rosslare and then drive 180 miles to our venue. On Saturday morning we drove in convoy the short distance to Belturbet on the pretty Shannon-Erne Waterway. 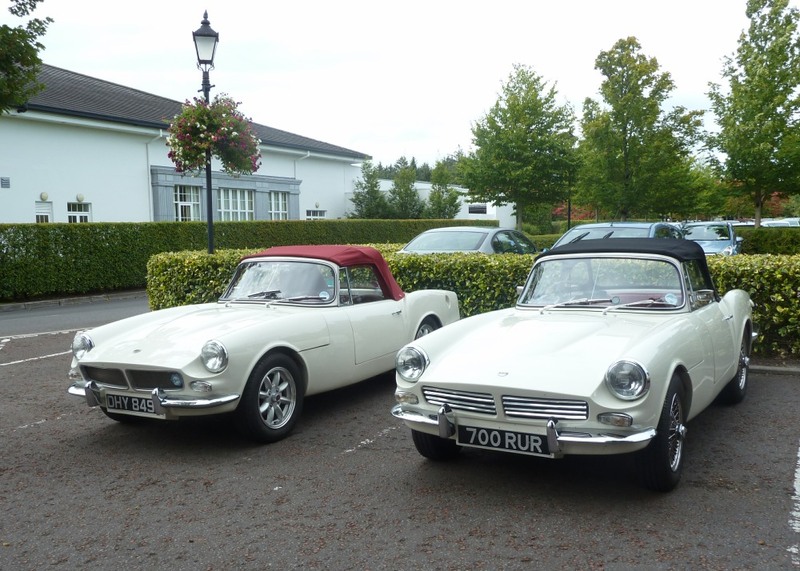 It was nice to be met here by father and son Scimitar owners David and Julian Fowler who had driven from Enniskillen in Julian’s smart Middlebridge. At Belturbet we boarded three cabin cruisers for a cruise to Crom Estate where we enjoyed a conducted tour through the grounds. Apparently the BBC comedy series, Blandings, was filmed at Crom Castle in 2012. Following a light lunch at the visitor centre we returned to our cars by private bus and then drove back to our hotel. Before dinner we enjoyed a blind tasting competition. We were presented with a disguised selection of mineral waters, beers and wines and the task was to taste and identify these against a numbered list. Geoff Cooper was the only one of us that got it. Tasting skills were not necessary but a sharp and logical brain was. The numbered bottles corresponded inversely with the numbered list provided - simple. Another impressive dinner followed and some of us stayed up till late enjoying the live music in the hotel bar. 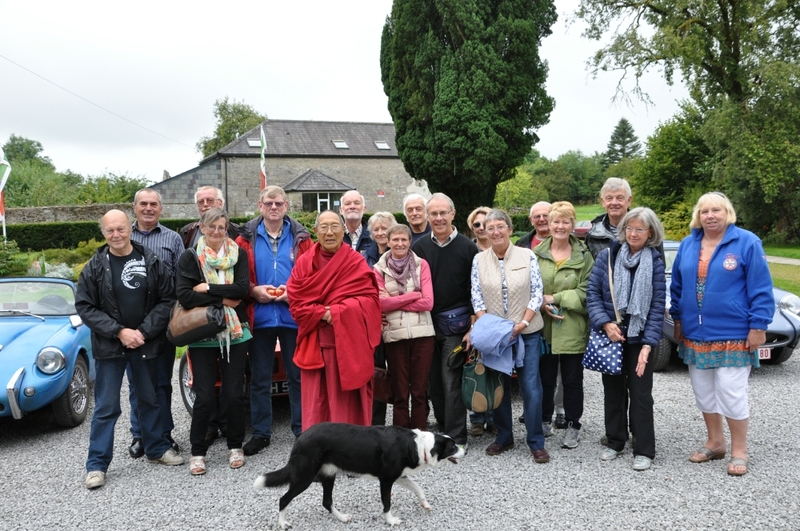 Sunday morning saw another short drive, this time to Bawnboy where we visited the Jampa Ling Tibetan Buddhist Centre. It was very interesting to meet the visiting Lama who took an interest in our cars. Then on to the Bawnboy Workhouse where we enjoyed conducted tours by some of the people who are striving to restore the mostly derelict buildings. It was interesting and somewhat chilling to hear some of the history of the place that was virtually a prison for disadvantaged women and children from the mid 1880’s to about 1920. A surprise was presented to us after a light pub lunch. The itinerary said Ballyhugh Art and Culture. Little did we expect this to amount to a lesson in Irish Dancing! Amazingly most of our party took to this like ducks to water with Vin and Sylvia and Jeff and Els in particular showing dance floor skills that the rest of us were completely unaware of! At the beginning of the weekend we had each been given clues to the locations along our various routes of special keys that might open a “pot of gold”. As with the tasting competition this was an amusing and impish spoof devised by Bernard and Delourdes! On Monday morning we departed for the final time leaving in different directions. Some returned home directly, others extended their stay in Ireland for a few more days. Vin and Sylvia headed north as did Geoff Cooper. With André and Carine we travelled west and south via Westport and Spanish Point on the west coast. We then parted with André and Carine and travelled to Waterford in the south to visit the Crystal Factory. Our final day in Ireland was spent in Dublin where we met up again with Vin and Sylvia, enjoying a nice dinner and Irish pub entertainment in the Temple Bar area.